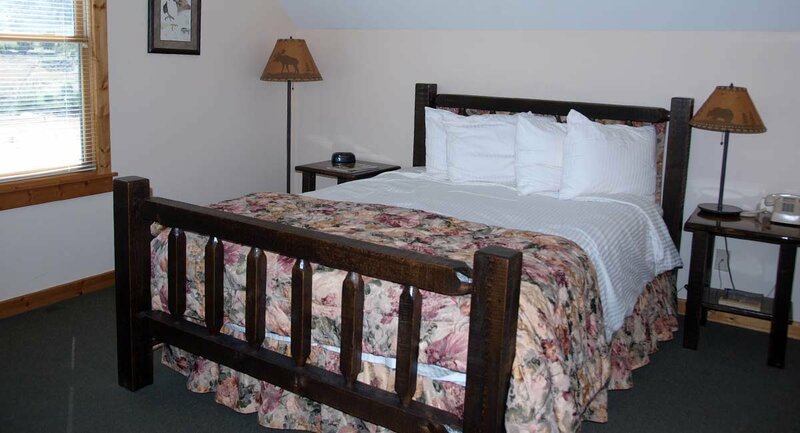 The Yellowstone Basin Inn offers the perfect accommodations for your Yellowstone Vacation, located just North of Yellowstone National Park. With personalized studios with a maximum occupancy of two, we provide accommodations that fit the occasion, suited to both the most adventurous and romantic of trips. Often those two things go hand in hand. Enjoy the unique decorations and bed down for the night with that special someone in rooms rich in atmosphere. The wood and eco-harvested log furniture blend elegance with rustic charm in a way that is both pleasant and relaxing. Traveling in a group? 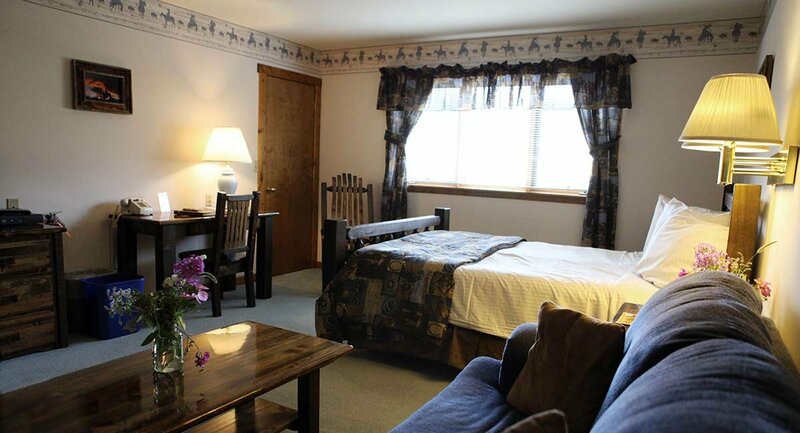 Check out our connecting rooms that offer both accessibility and privacy. 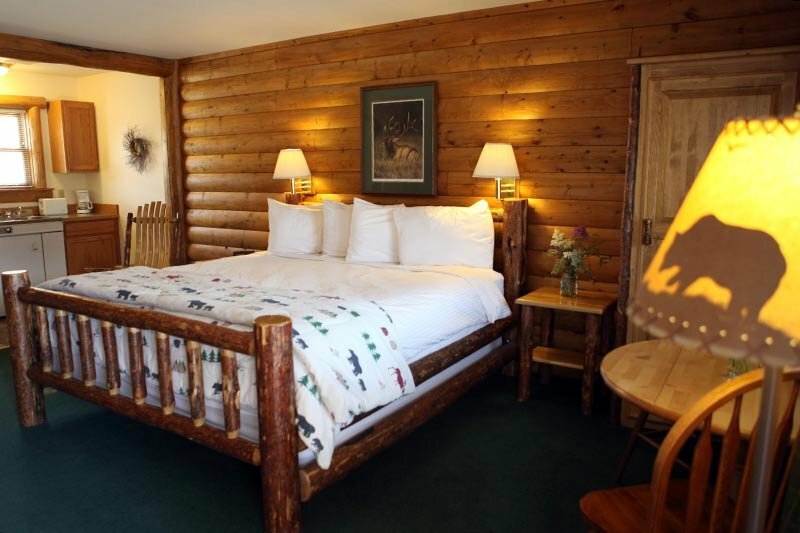 The La Duke room offers king-size comfort, log furniture and a refrigerator for maximum of 2 guests. This is a spacious, wheelchair-accessible room on the ground floor. 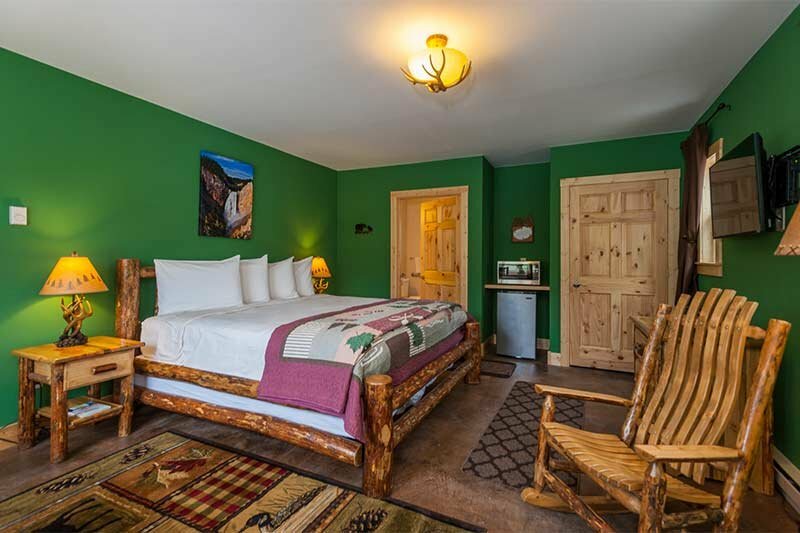 Enjoy great views from this western themed upstairs mini-suite (stairs, no elevator). Our Ridin' High accommodation features a single queen, comfortable sofa sitting area, microwave and fridge, with log furniture, for maximum of 2 guests. 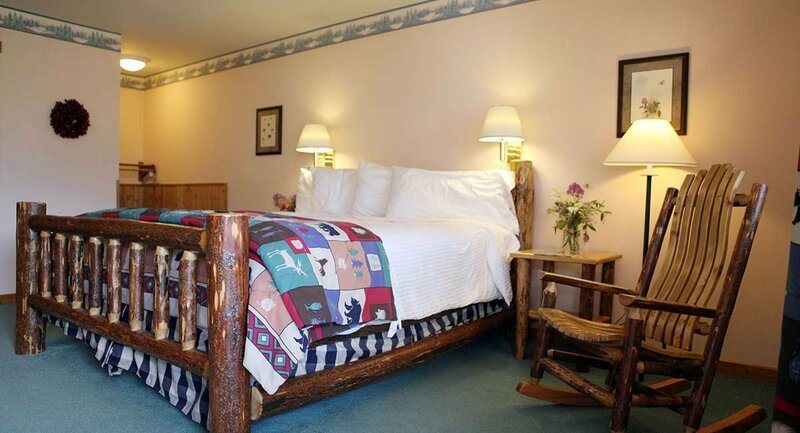 The rustic log interior of the Paradise Cabin room treats guests to a taste of the west. 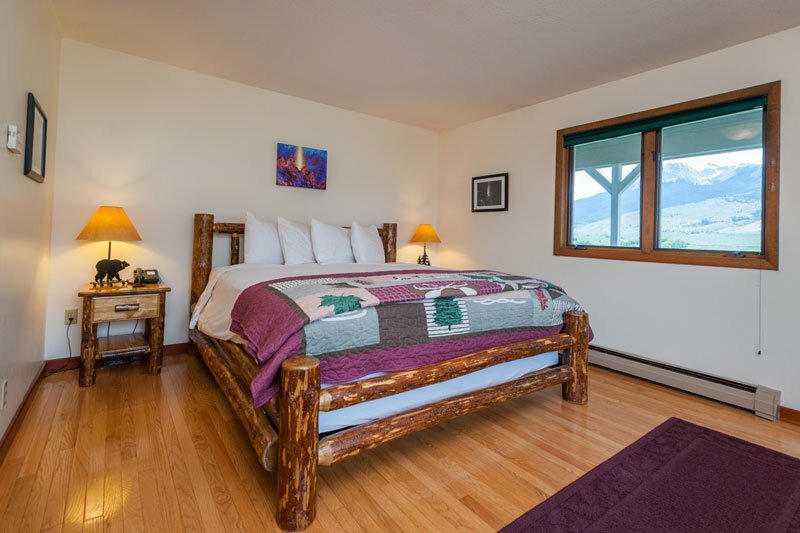 Enjoy the feel of log-home living with a private kitchenette and one comfortable king bed, with log furniture, for maximum of 2 guests. This bright and cozy room has a single queen bed with skylit interior. 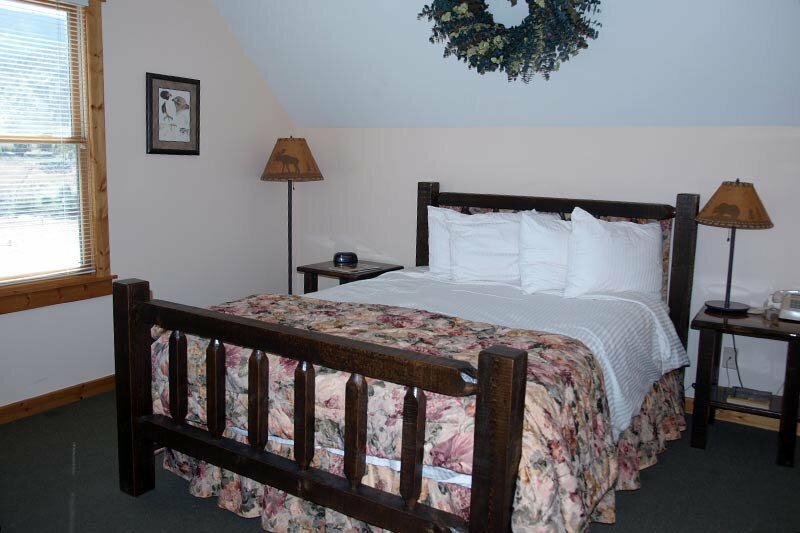 The Riverview room is perched on second floor (stairs, no elevator) with views of the Yellowstone River and Electric Peak with log furniture, for a maximum occupancy of 2 guests. See the stars from bed when you stay in Northern Lights. 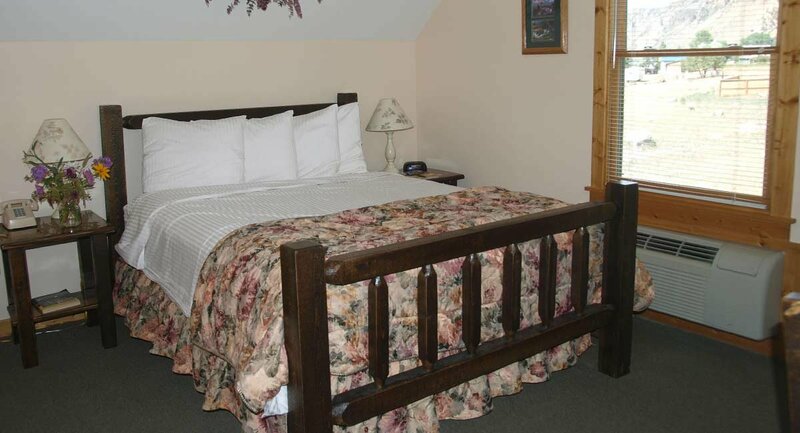 Located on the second floor (stairs, no elevator), this cozy room features one queen bed with log furniture, for maximum occupancy of 2 guests. The Gallatin View room is one of two newly remodeled rooms in the Carriage House. It offers a king size bed and is handicapped accessible, log furniture, a microwave and refrigerator plus a large bathroom with walk-in shower (no tub). 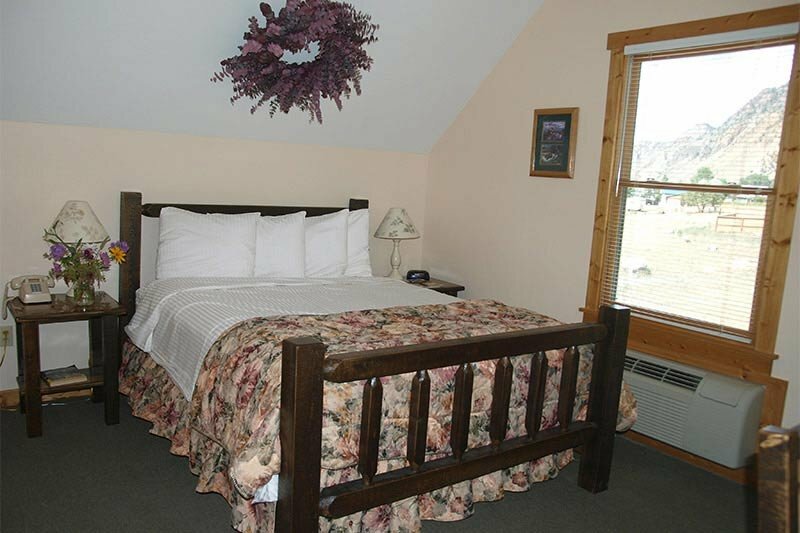 It provides stunning views of the Gallatin Range and the Yellowstone River. The Carriage House is located on the north side of the property, separate from the Inn's main building offering a bit more privacy. Parking is right outside. 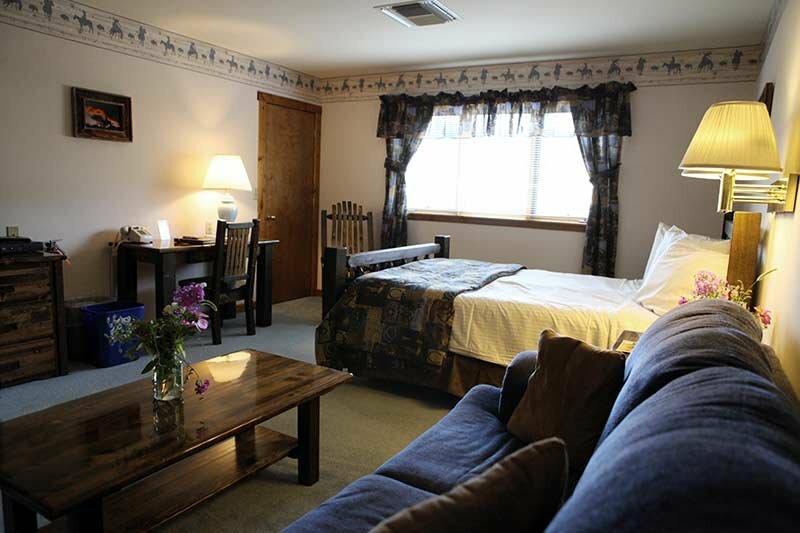 It can be rented by itself for a maximum of 2 guests, or as a connecting room with Valley View room. We offer a discount if both rooms are rented for the same dates for 2 nights each or more. 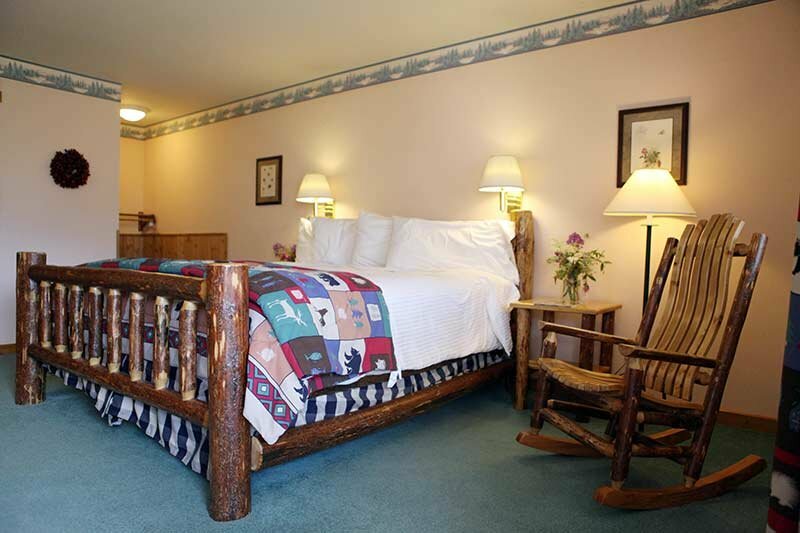 Please call us at 1-800-624-3364 or email us for more information at: innkeeper@yellowstonebasininn.com. 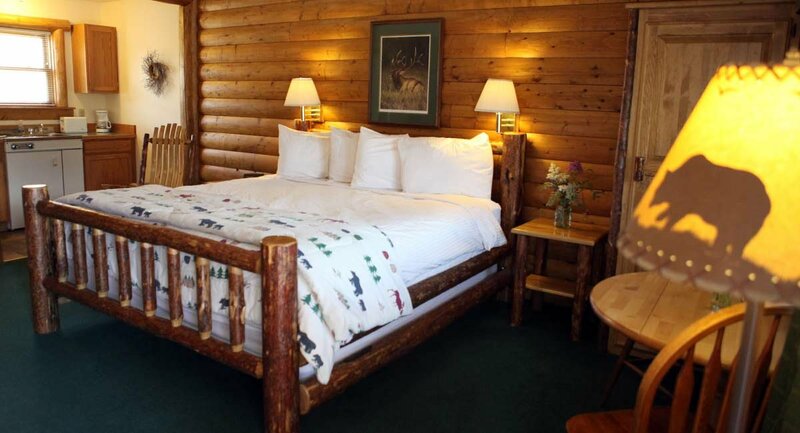 The Bear Den room offers a comfy king size bed with log furniture. It has a large private bath with step-in shower and a separate deep and long bathtub. Beautiful front porch views north and west, of Devil's Slide, the Yellowstone River and Electric Peak, with the roar of the Yellowstone River at night, for a maximum of 2 guests.